The Sellouts giveaway on Goodreads.com! 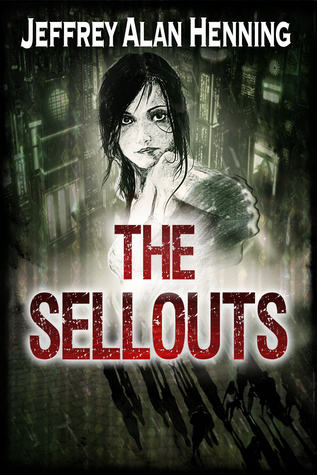 If you haven't already seen it, I am giving away 3 copies of The Sellouts. These will of course be autographed and mailed to the winners! The Sellouts needs your help! Hey everybody! I am finally ready to put my new novella, The Sellouts into the world, but it needs your help! Anyways, I could really use some help to get this book out there. It's probably the funnest book I've ever written! You can find all the details HERE. And if you do donate, thanks in advance! 1. Name change: I've changed the name to Rikoun Publishing, as I plan on helping people publish e-books and even physical books, editing, and some copy writing. If you need help in these areas, please let me know! 2. Logo: I got a logo! I think it looks great and I've been receiving good feedback for it. For years, humans with extraordinary powers have been surfacing in the world, and for years, no one could match them - until one company started hiring them to police the bad ones. Agent Matthew Hendrix, A.K.A. “Chancer”, works for TSO, a company contracted by the United States Government to capture and detain these “humans with extraordinary powers”. He thinks he’s saving people, but the people call him and TSO Agents like him - those with powers - “Sellouts” for being paid to turn on their own kind. Having the ability to change the luck around him, but not always being able to control it, Chancer inadvertently stumbles upon a plot that could threaten the entire world. Can he and The Sellouts save the world? 4. I've pushed back The Crymson Guard SS#4. I just didn't have time to finish it. I'm looking at knocking it out after I get "The Sellouts" done. I think that's about it! If you have any questions, please feel free to email me!